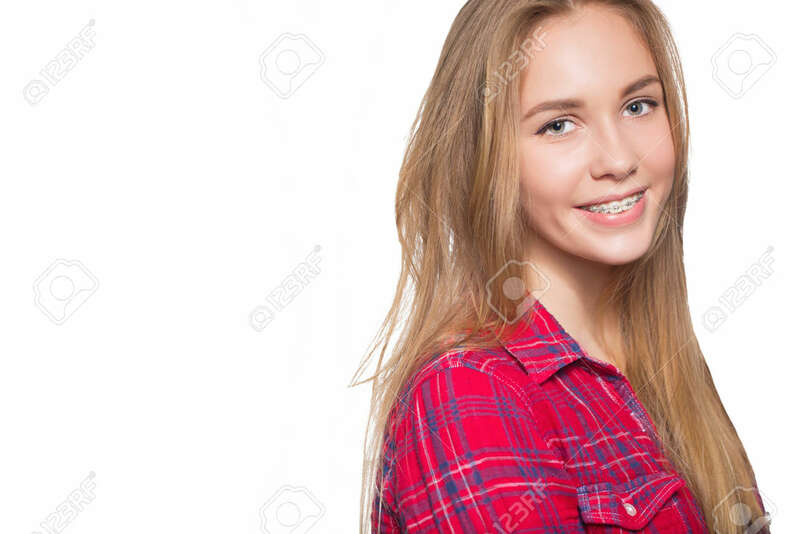 Close Up Portrait Of Smiling Teen Girl Showing Dental Braces. Isolated On White Background. Banco De Imagens Royalty Free, Ilustrações, Imagens E Banco De Imagens.. Image 58344992.